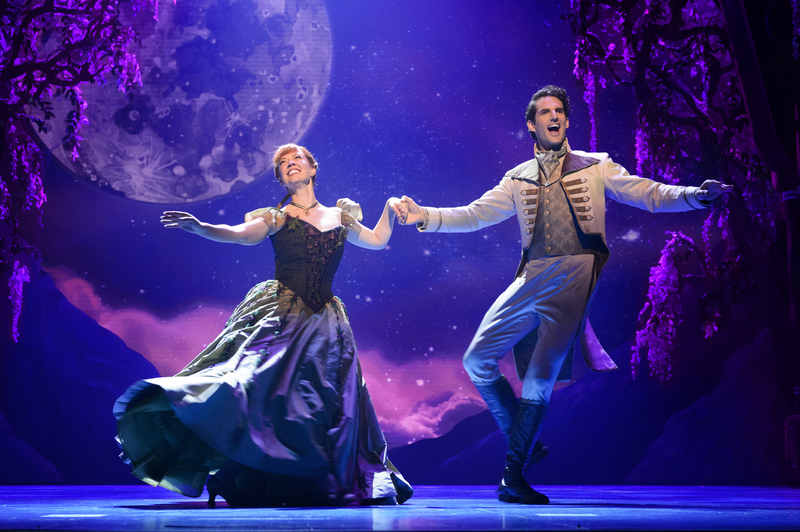 Disney’s animated hit Frozen landed on Broadway this spring. 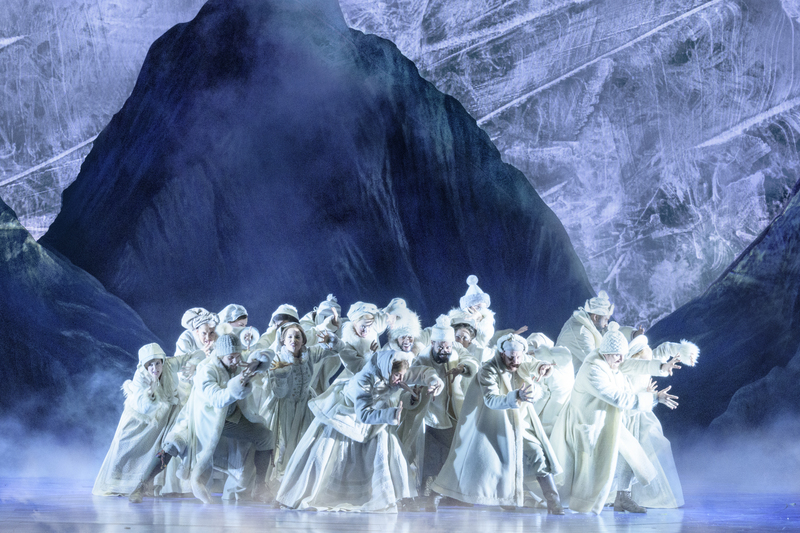 With more songs, a huge cast and an ambitious snow and ice-filled set, Frozen would be an incredibly dynamic and technically challenging production. 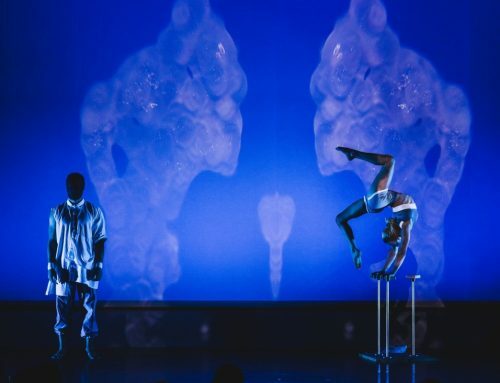 Founders, Adam Young and Finn Ross, of Design Studio FRAY share their experience of bringing snow, ice and the Northern Lights to Broadway’s St. James Theatre. “The creative concept for Frozen was to help bring worlds to life that couldn’t exist in the reality of a theatre. The show is set in various locations from inside a Nordic castle to half way up an ice-covered mountain. 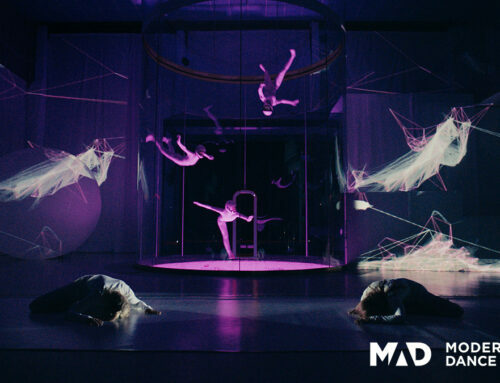 Through video we had the capability to bring these spaces to life as well as adding an emotional and psychological twist on each place.” – Finn Ross, Video Designer, FRAY Studio. How do you re-create real magic?… With a real-time workflow. By mixing classic set-building with Notch’s real-time rendering technology the team created a world in which the characters and audience felt immersed. “This design is crammed with technology but used in a very subtle way” says Finn. 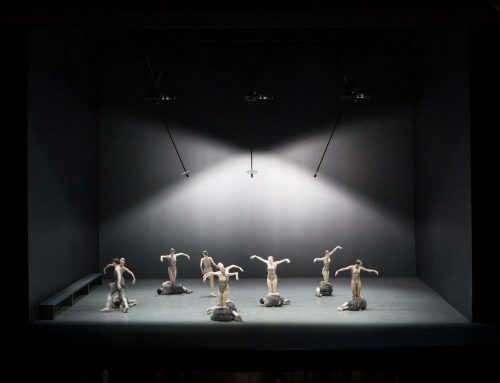 FRAY’s design aspiration was to create magical scenes using technology, without the appearance of technology at work. Tundra-like expanses were created by layering various video effects. A 12m by 9m Roe LED wall at the back of stage formed the base layer. Hundreds of pieces of scenery fitted with LED screens were supplied by Junction. A semi-transparent flocked material covers almost everything in St James Theatre. The material’s surface allows highly detailed projections to be integrated into the scenery. The entire set is projection mapped and tracked with 64 axis of automation using 16 Panisonic 30k Laser Projectors, all powered by nine disguise gx2 media servers. The Aurora Borealis became a consistent and pivotal set-piece. Finn Ross and Adam Young had previously created the Northern Lights for other productions using Adobe After Effects. Their experience rendering these huge 4K animations had been frustratingly time-consuming and creatively limiting “Render times meant that we couldn’t be responsive – you want to change one particular colour in it – you need to re-render it. You want to make something happen on a cue – you need to render it and then crossfade in and out of it”. Using Notch, FRAY were able to build a single Northern Lights application that could be used for the entire show. Using over a hundred exposed parameters they could control every part of its physical form: streak length, sky ramp colour, cloud cover, star amounts, accent colours, the complexity of the curves, reactionary curves, contractions, twists, positioning in the sky, rotation, alpha background. The entire look could change on cue with just a few changes in keyframes. Once these parameters had been set the animation could endlessly regenerate, creating unique compositions that would never loop. During the show one look transitions into the next without the need to ever cross-fade, the animations dynamically transform. Using audio-reactive inputs, the live orchestra can cue changes in the Aurora’s colours and motion. Frozen’s Northern Lights became a seemingly sentient entity in itself. For Finn “It was revolutionary to see the content shift in shape, speed, and colour, with no cross-fade and no locking timecode”. 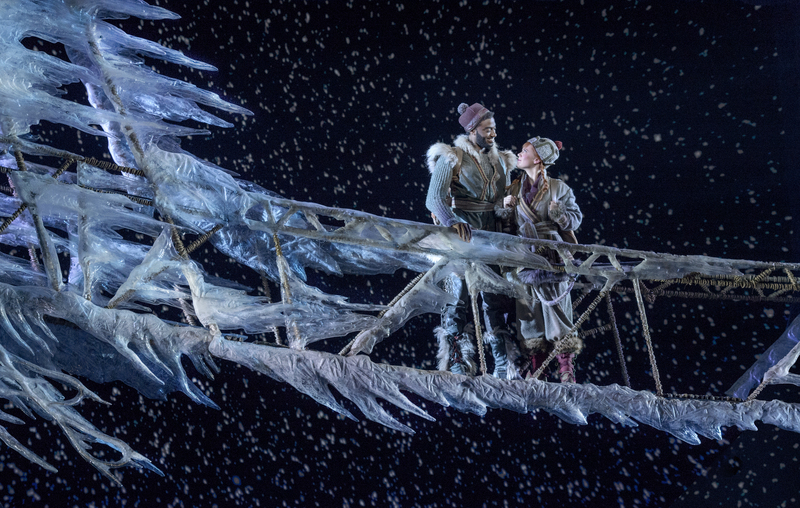 The extensive amounts of snow needed for Frozen was created using staggered emitters and 3D set elements. A series of exposed parameters enabled FRAY to build the look live on stage and fine tune it until they created depth filled snowscapes “at points it would genuinely look like real snow falling” Adam tells us, “You may look at the stage and think there is no video on stage at that moment but if it were to be turned off you would really notice the difference. We wanted a very painterly look so, for the most part, we use projections softer nature, however hours of colour balancing, subtle use of noise, blurs etc allowed the large LED screen to become a living painting full of soft and subtle living detail”. By choosing a real-time workflow the team at FRAY were able to experiment creatively while delivering on time. This new flexibility enabled them to be reactive members in the design team of a complex production.